Green Spark’s video producer, Jim Cliff, explains why plain solid colours work best on video, why you should avoid patterns, and how not to be a floating head. 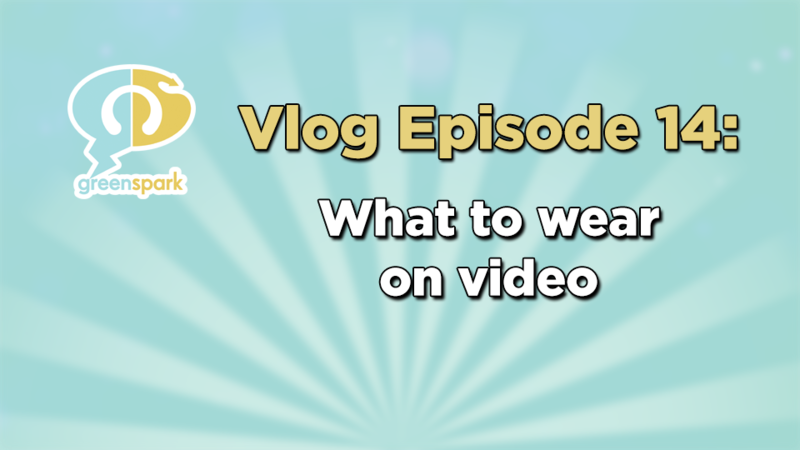 What should you wear when you’re appearing on video? I’m no fashion guru but I can help you look better on video so stick around. 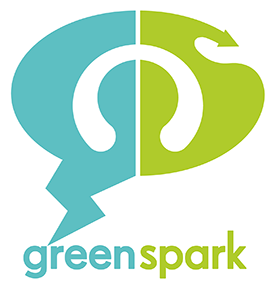 Hi I’m Jim from Green Spark. One of the most common questions I get asked from people who are going to appear on camera is ‘what should i wear?’ and it’s actually not that complicated. Generally, patterns are bad and bright bold patterns can be distracting, whereas smaller tighter patterns like checks stripes or houndstooth can create a nasty kind of shimmering effect on video that isn’t nice to look at all. So try and stick with solid colours – pastel shades are best. Bright colours; bright red; bright orange can cause problems with cameras in some circumstances and black and white are ok ideally if they’re contrasted with something else like a jacket of a different colour or a scarf. Also it’s worth thinking about your jewelry. If you have lots of bangles, lots of necklaces that are going to rub against each other and make a noise and bother the microphone then try and reduce that number and and try not to be wearing something that’s too noisy. Glasses are not usually a problem provided that the person filming thinks about that and makes sure that they place lights in an area that they’re not going to reflect off the lens of the glasses but if you wear contact lenses that’s probably better. Finally for ladies who are going to be wearing a wireless microphone with a wireless transmitter on their belt try to remember not to wear a dress without a jacket or a belt, because there’s nowhere to put the wireless transmitter – usually it comes with a belt clip and you have to clip it somewhere, so a jacket a belt or an outfit that you have somewhere to clip a wireless microphone. I hope that’s been helpful, thanks very much for watching. I’ll see you next time.